Kimber has announced its 2015 Summer Collection, a group of special edition pistols that includes both 1911 and Micro models. The latest addition to Kimber's special edition gem-tone line, the Diamond Ultra II sports a mirror-polished slide with engraved scroll accents and Special Edition markings. The pistol's small parts are also mirror-polished. 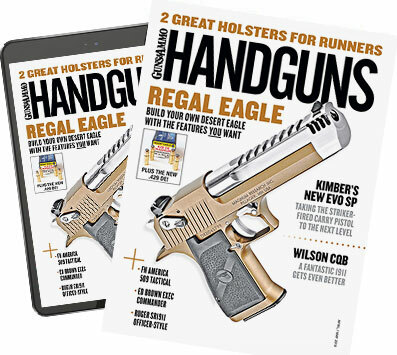 An ambidextrous thumb safety, tritium night sights and aluminum ball-milled grips round out the list of this pistol's features. It is available in .45 ACP and 9mm. This classy pistol is accented by vine and leaf full-coverage engraving and features stipple relief on the frame and slide. The Stainless II Classic Engraved Edition's has a mainspring housing with matching engraving, and the pistol sports high-grade walnut grips with Ivory Micarta checkered inlay. It is available in .45 ACP. The Texas Edition of the Stainless II is a 500 unit, Limited Edition model with abundant unique features. A specialized serial range starting with the prefix TXE marks it as a Texas Edition pistol, and it also sports high polished flats on the slide and frame to complement the western leaf and scroll engraving with saw tooth border on the slide. Like the Classic Engraved Edition of the Stainless II, the Texas Edition's mainspring housing has an engraving pattern to matches the slide and frame. The 1835 motto, "Come and Take It" also appears on the left bonded ivory grip panel, and the great State of Texas and its state flag are on the right panel. Another addition to Kimber's gem-tone line, the Micro Diamond incorporates a mirror-polished slide and small parts. The slide also features engraved scroll accents and Special Edition markings. The pistol has an ambidextrous thumb safety, tritium night sights and Ivory Micarta ball-milled grips. The new Micro Bel Air pistol from Kimber utilizes a mirror-polished slide and small parts and features a beautiful Bel Air Blue finish on the frame. This classy micro pistol also wears Ivory Micarta grips .